Hello, Hello, Hello!!!! 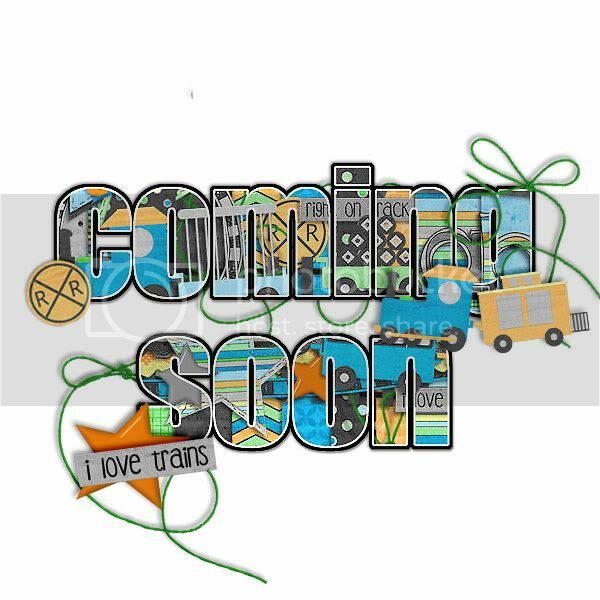 Candi here with your sneak peeks….and yes, that’s right, the peeks will be on Thursday’s now! Are you as giddy as I am!?? I hope that you are! Wow, these girls have been working non-stop. 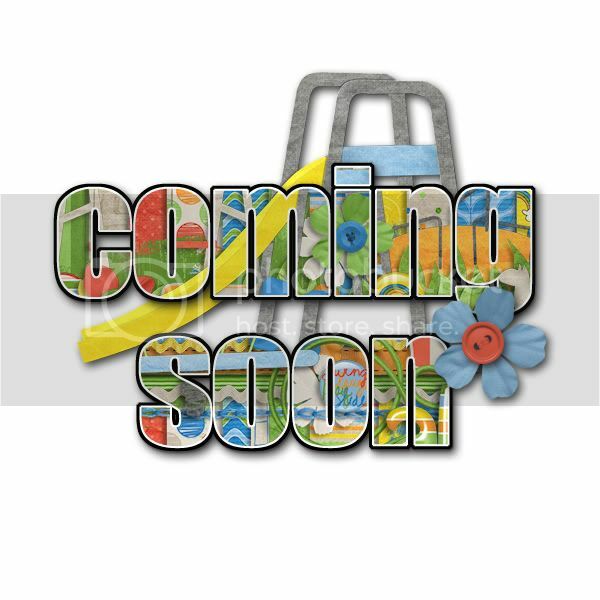 There is so much in store for Bella Gypsy fans, it’s unreal! 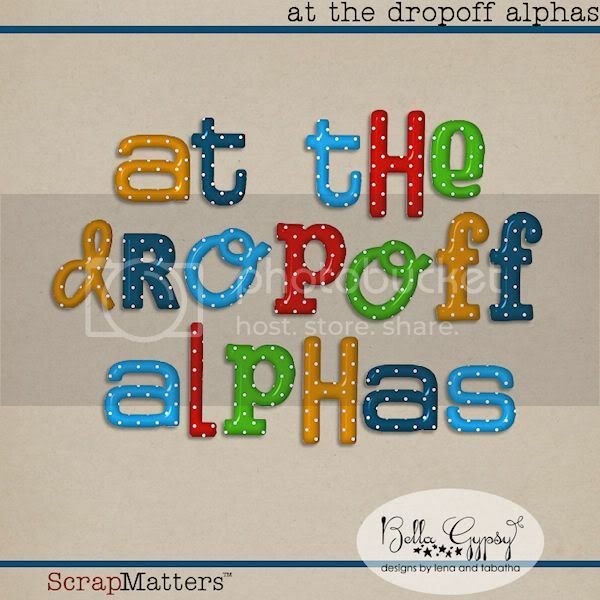 Hello Scrappers! It’s Kim here! I’m filling in for Kiana who is out enjoying some family time! I have some pretty sweet deals at Gotta Pixel today! It’s $1 Pixels so you can get ALL these amazing products for $1 each! Check out what you can get! Fresh Squeezed is a new release. It’s available in three separate packs: Elements, Papers and Alpha! Each pack is $1! The next $1 Pixel is an oldie but an awesome kit! It’s one that symbolizes a new beginning…starting over! I’m sure most of us can relate to the message behind this kit..in one way or another! It’s available for $1 as well. Here’s a little something for you today! It’s good for TODAY only at Gotta Pixel! Get $2 off an order of $5 from the Bella Gypsy store. Happy Tuesday Scrappers! It’s Kim here, filling in for Kiana today! It’s Kim here, on this Revamp Monday! What exactly is revamp Monday…let me tell you, but first of all…I hope you all had a relaxing weekend! Our’s was exhausting! We took the train into the city on Saturday…something we have wanted to do with the boys. Oh boy! What a trip it was. We walked around the Windy City for a while, looked at tall buildings, ate at McDonald’s (their choice) and then headed back home. Our 2.5 year old had broken legs the whole day and couldn’t walk, our 4 year was amazed the city had birds just like we do at our house (he couldn’t walk either because his legs hurt) and well, I am pregnant and walked at a turtle’s pace the whole day! My poor DH had to alternate which boy he carried…I suggested bringing the stroller but he didn’t want to mess with it because it was suppose to rain and we weren’t going to do that much walking in the rain…well, it didn’t rain and we did do a lot of walking! I don’t think we are going to be making that trip again anytime soon! I felt like a SLOW POKE all day long but we got to where we wanted to go! Now on to Revamp Monday. The designers at Elemental Scraps had the option of giving an older kit a makeover! Bella Gypsy decided to revamp Slow Poke! It was cute the first time around but is absolutely adorable now! Take a look! 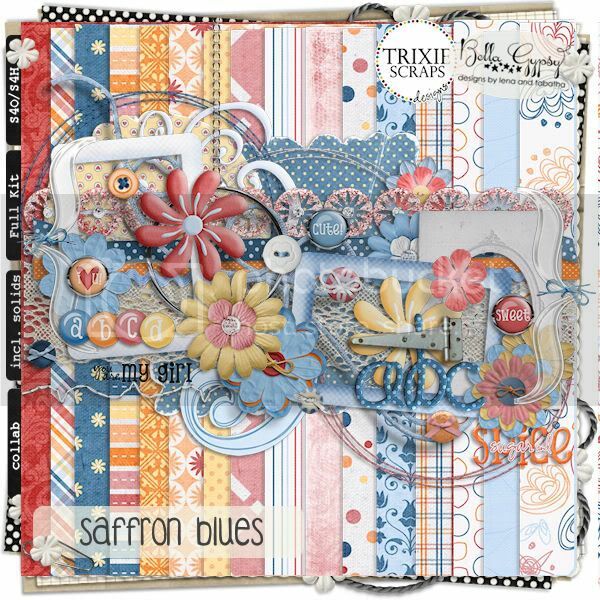 Here’s a collab with Trixie Scraps. Each piece of this collection is also available for individual sale. Now on to the first SWEET DEAL! 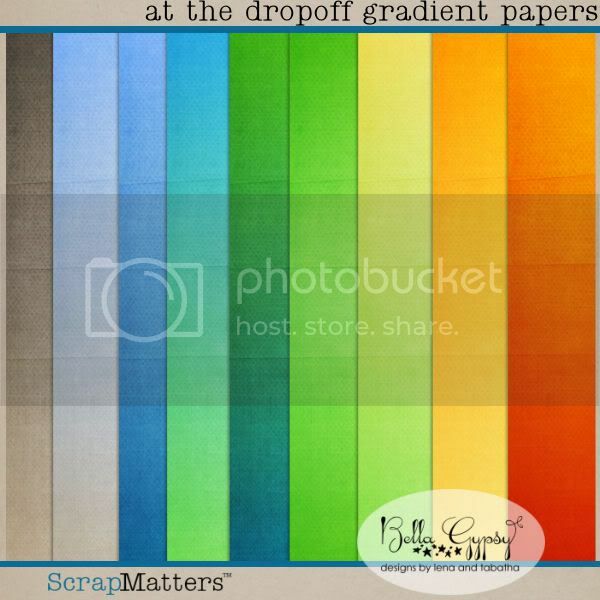 It’s Manic Monday at Scrap Matters. You can get Bookwork for only $2.50 TODAY ONLY! Manic Monday is every Monday. These sweet deals go live early and disappear around midnight Monday night…so hurry because you don’t want to miss this deal! Here’s one more sweet deal at Elemental Scraps! 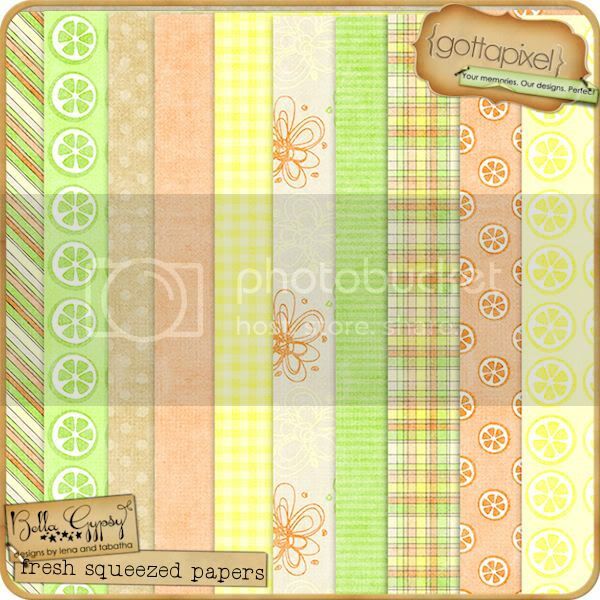 If you spend $10 in the Bella Gypsy store at Elemental Scraps, you can get their new kit, Delightful, absolutely free! 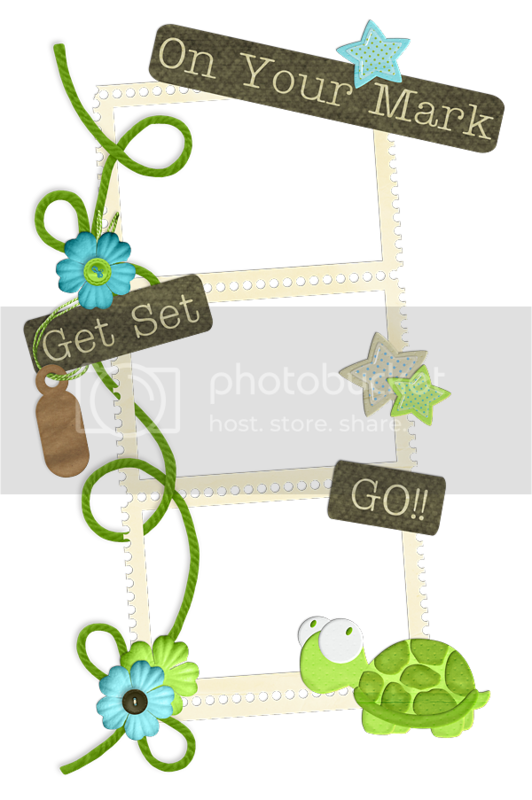 On to your freebie…here’s a frame cluster that coordinates with Slow Poke and Slow Poke 2.0. Click on the preview for your download link! Kiana is going to be gone tomorrow so I will be around to give you the scoop on the $1 Pixels at Gotta Pixel! See you tomorrow! Summer is here and that means the kiddos are spending a lot of time outside. If they are lucky enough, they may even get to catch lightning bugs or fireflies! 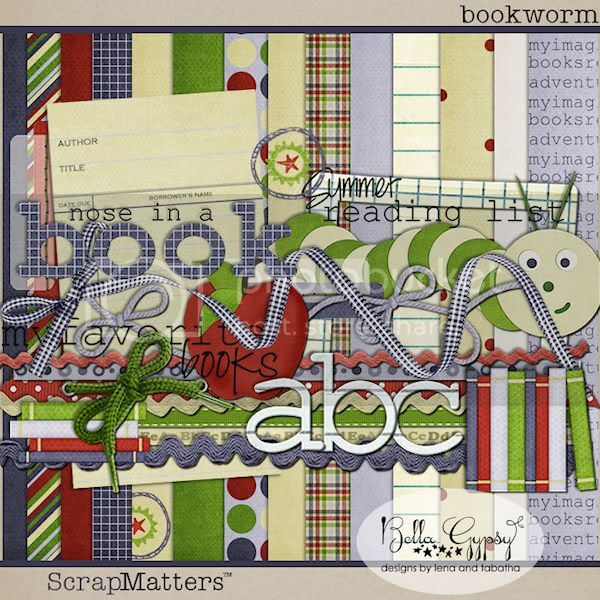 It’s Kim here, bringing you the goodies that hit the Scrap Matters store today! “What’s that flicker?” is what my boys kept asking on the way home from Mama and Papa’s house late one night. We live in a very, well lit neighborhood so they have never had the opportunity to catch fireflies or see them…except for in books! So after our brief lesson on fireflies I told my husband to stop the truck! He looked at me like I was crazy and asked why. It was 10:00 at night, the boys were in pj’s,they were wired because they had taken a late nap, we were out in the middle of nowhere and I wanted him to stop the truck….because I was going to let the boys chase fireflies! 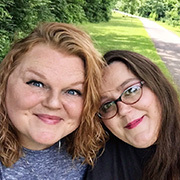 They had so much fun and if my husband admitted it…he did too! All four of us were running up and down the corn field on the side of the highway chasing fireflies…What a sight! Well, SOME SUMMER NIGHT that turned out to be! We had a blast and I got a few pictures of the boys trying to catch that little flicker of light! 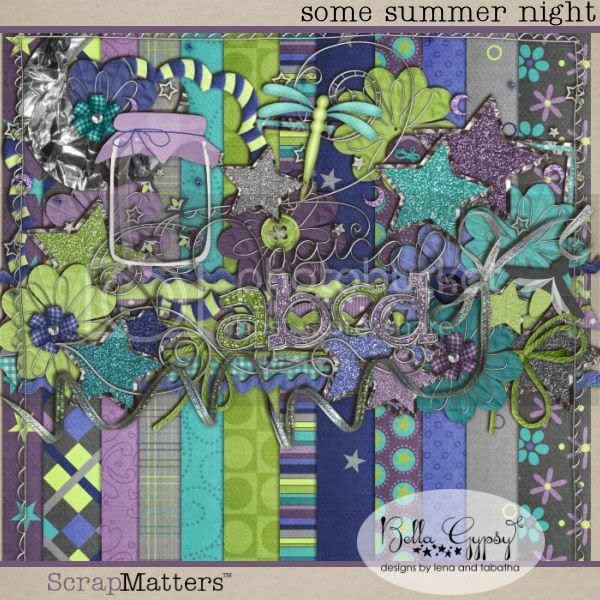 Some Summer Night is an exclusive kit that is releasing today at Scrap Matters and it perfect for scrapping summer night photos, sleeping kiddos and so much more! Wait until you see the GORGEOUS elements in this kit! Bella Gypsy revamped an older kit this week that was extra special to them! Check out Slow Poke 2.0. It just as cute as the original but has some awesome new goodies! This kit is oh, so adorable!! and we can’t forget the matching Sketchology! It wouldn’t be summer without some FRESH SQUEEZED lemonade or some yummy OJ. Don’t forget to grab this summer delight in the store today! 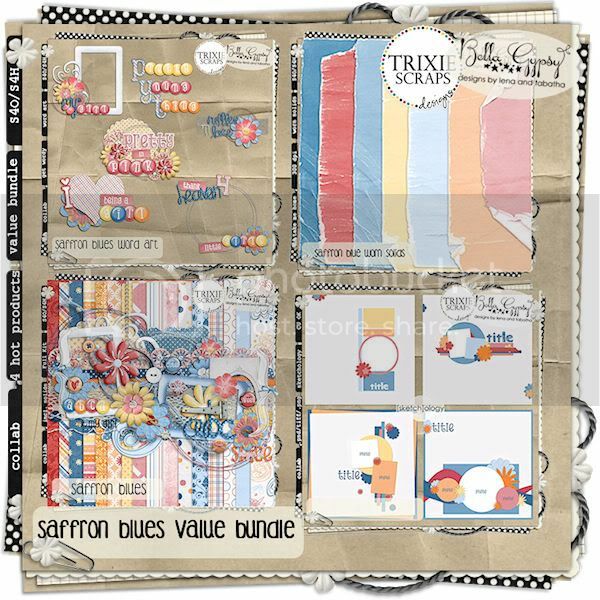 Bella Gypsy teamed up with Trixie Scraps to bring you this adorable, fabulous bundle! The colors of this kit are gorgeous! I can’t wait to get scrapping. There’s a sweet deal waiting for you TODAY ONLY! If you spend $10 in Bella Gypsy goodies today at Scrap Matters, you will receive this kit absoulutely FREE! There is no need to add it to your shopping cart! If you spend over $10, Bella Gypsy will email you the links to this delightful kit! Here’s a little something from Crystal! It’s a QP using Good Clean Fun that was released last week! 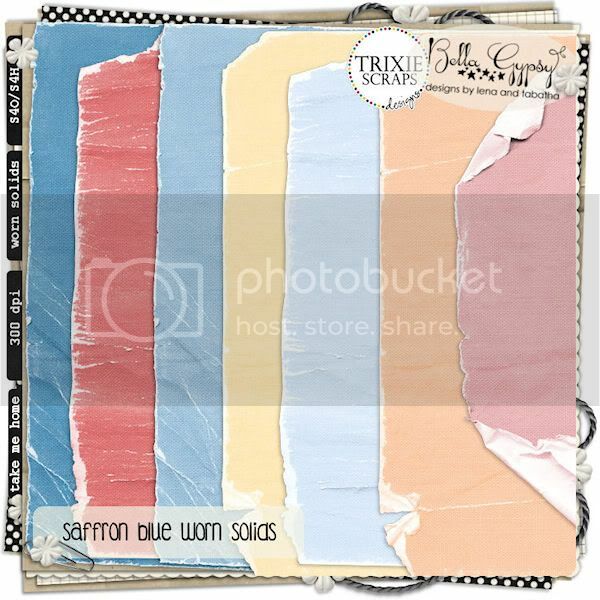 Click on the preview for your download link. 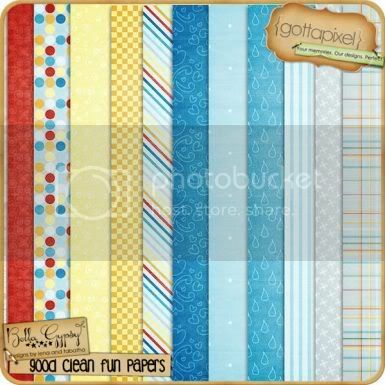 GP $1 Deals on Good Clean Fun and an oldie but goodie!! Hi everyone! Kiana here! I hope you all are having a great week! 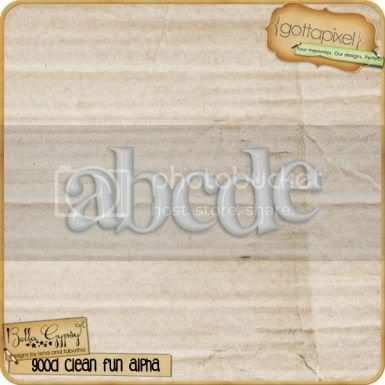 I have a new kit to show you at that is brand new at Gotta Pixel this week. There is also an oldie but goodie sneakin’ its way into the $1 Pixel bin this week! If you have boys at your house like I do then you probably know that the only time you ever see a boy clean is when they are in the tub!! My kids have always loved bathtime. They love bubbles in their baths. I love listening to them play in the tub! They sound so happy! 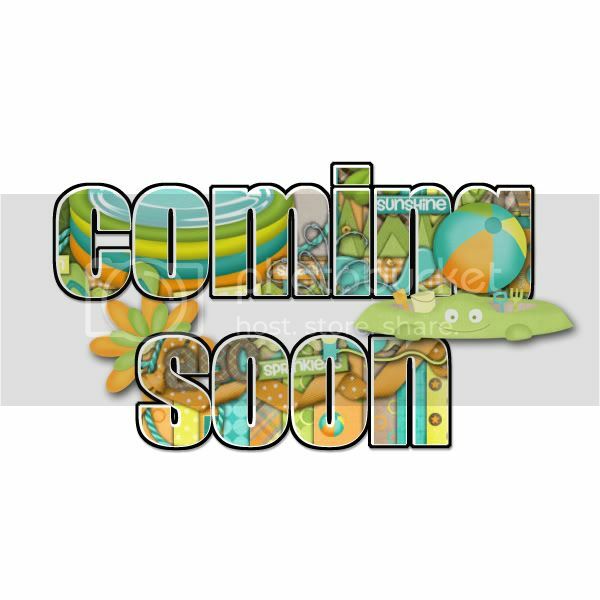 Bella Gypsy has the perfect kit for you to scrap all those bathtime memories! Grab each piece for $1 today!! Isn’t this kit just adorable! Don’t forget to scroll down to Monday’s post to see all the amazing layouts our creative team made for you to feast your eyes on! You can grab the Sketchology:Good Clean Fun template pack this week for 25% off! There is one more item in the $1 Pixel bin at GP this week. Bella Gypsy put the kit “Honey Bee Mine” in there for you to grab this week also! I love the bright colors of this kit! It is so fun and cheerful. A perfect kit for this time of year! I have one last little surprise for you! Bella Gypsy has a special coupon for you!! Our family LOVES to go visit our local zoo’s during the summer. We usually get the family membership so we can go whenever the mood strikes us. When we are traveling during the summer we usually try to see if there is a zoo in the area we can visit! We love animals at our house! Sometime my kids act like wild animals!! Why am I telling you about our trips to the zoo instead of telling you what your coupon is for??? Your special treat this week will help you scrap all those awesome zoo pics! 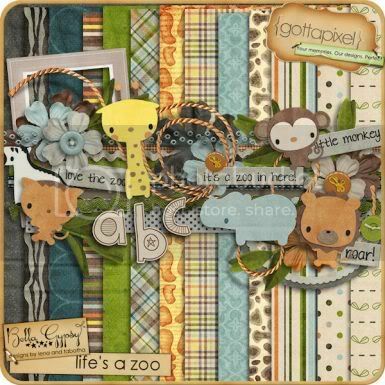 Use the code: zoofun to get 40% off of “Life’s A Zoo!” This coupon is only good at Gotta Pixel for Tuesday. Enjoy! Happy Monday Scrappers! It’s Kim here bringing you the happenings of what is hitting the store today at Elemental Scraps! So…grab a cup of coffee and sit back and relax because there is lots to share! 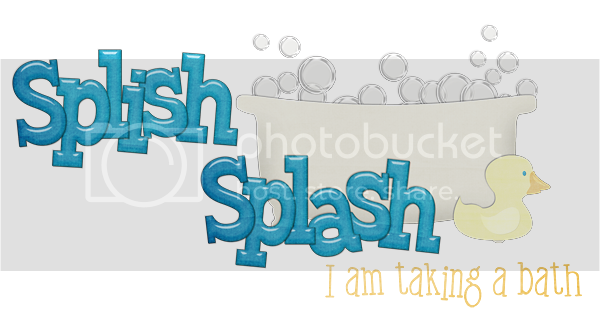 I know as a parent, I have TONS of bathtime pictures! I am always snapping pictures of the boys doing silling things in the tub! It’s just one of those things parents do! 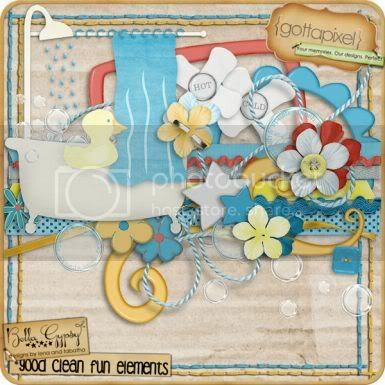 First up is a solo kit…check out Good Clean Fun! 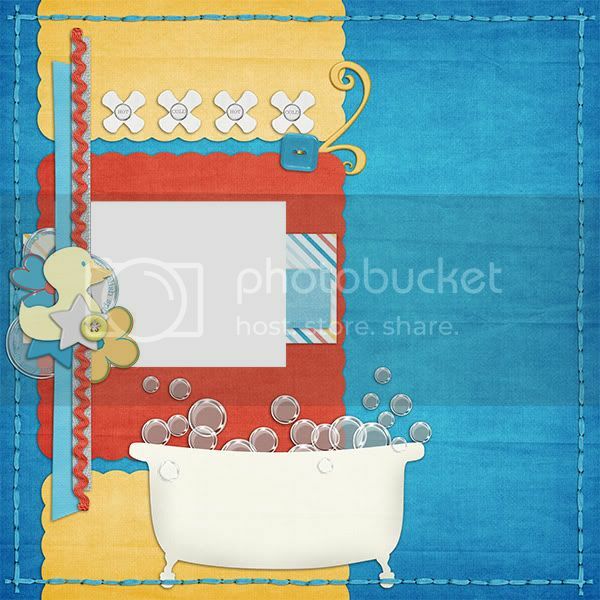 I love the splash of red in addition to the traditional colors of bathtime kits…it really makes things pop and the elements are just adorable and fun! Have you been taking trips to the park? Or do you feel like you have a park in your own backyard like I do? 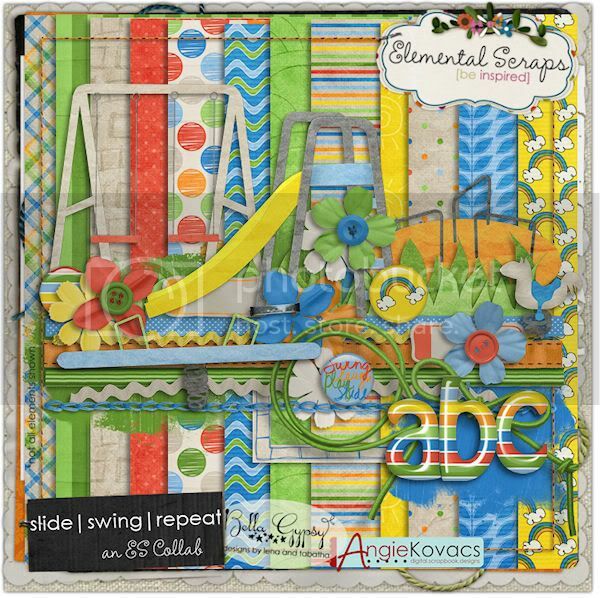 Next, up is a collab with Angie Kovacs called Slide Swing Repeat. It’s perfect for scrapping pictures of all those park playdates! When we have everything set up in our backyard, we have a backyard beach…complete with sand and water! All we are missing is the sound of crashing waves and the beautiful palm trees! The boys have a big pool, a sandbox and a few different sprinklers. I can’t forget to mention the pool usually has a sandy bottom…just like the ocean and that my husband has to clean in out all the time! Ok, enough rambling…check out Backyard Beach by Bella Gypsy and Connie Prince! Hello Scrappers! It’s Kim here today filling in for Candi on this very hot and sunny Sunday! 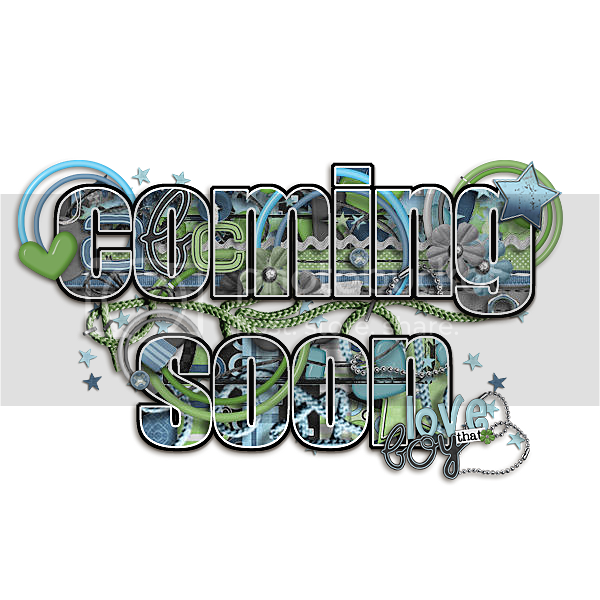 It’s the start of a brand new week and that means it is time to give you a little tease at what’s hitting the Bella Gypsy Store at Elemental Scraps tomorrow. 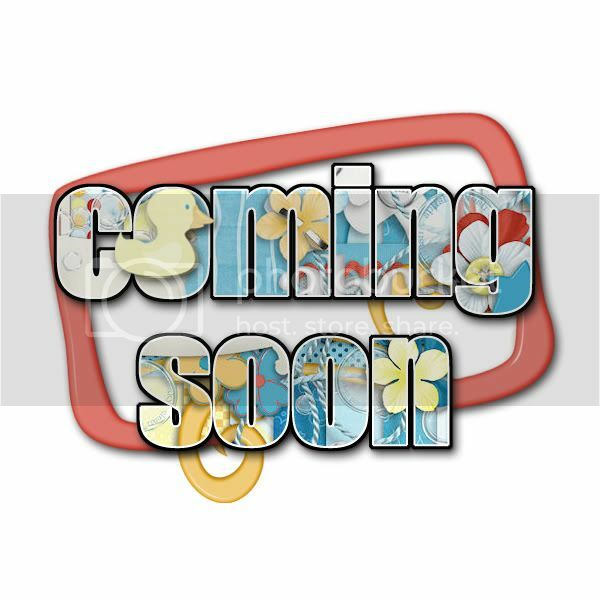 There are some awesome goodies coming your way so be sure to check out the store! Here’s a peek at three awesome kits! 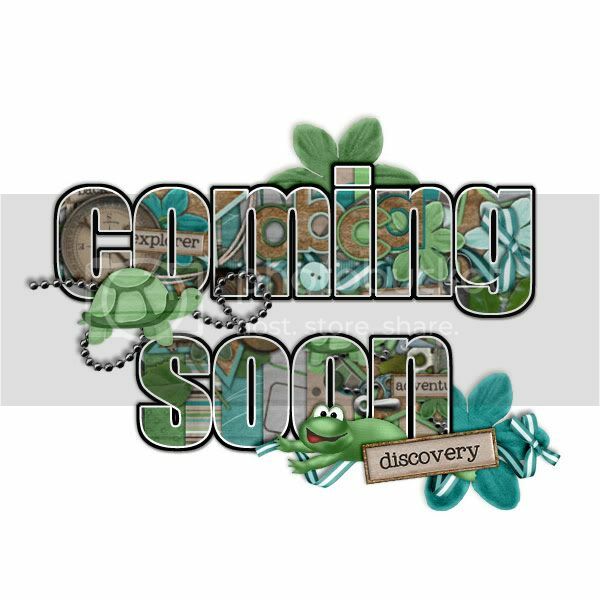 The first peek is a solo kit by Bella Gypsy and the other kits are amazing collabs with some other awesome designers at Elemental Scraps. 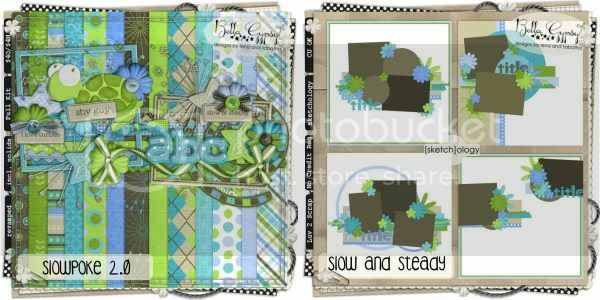 These three awesome kits are in addition to the scrumptious new kit that hit Scrap Matters on Friday. Didn’t have a chance to see At the Dropoff…look below and you will find it or you can head on over the SM store right now to check it out! Happy Friday Scrappers! It’s Kim here on this VERY hot Friday to bring you the scoop on what’s happening in the Bella Gypsy store today! 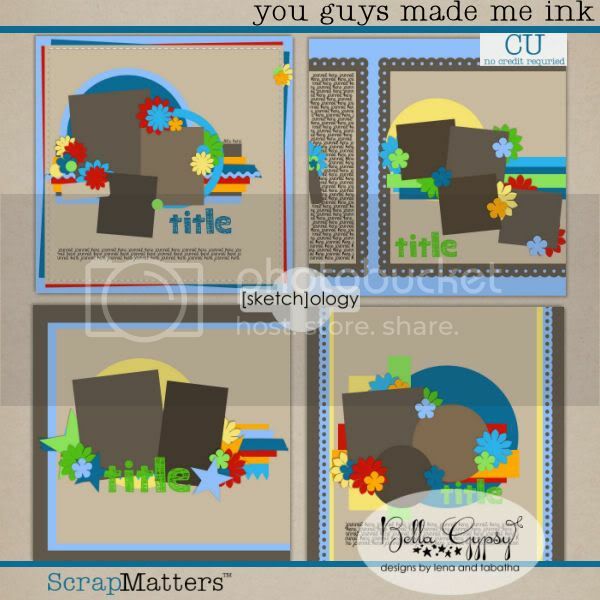 It’s new release day at Scrap Matters and that means there is one awesome, new collection hitting the store today! It’s summer and that means it is perfect swimming weather! The sun is HOT, the water is warm and what better way to spend the day at the beach, in the pool or…if you don’t like the heat…take a trip to an aquarium! 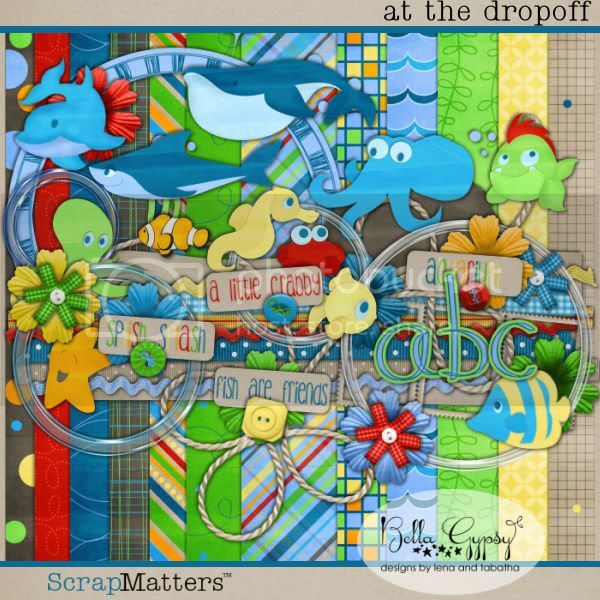 At the Dropoff is perfect for scrapping those pictures of your little fish! Let’s take a closer look at each piece of the bundle! Here’s the kit…up close! It is fabulous! The elements are adorable and oh, so fun! Wait until you see their names…Spike, Elise, Erwin….so cute!! Here’s a peek at the additional set of alphas you can get as well! Here’s a little freebie for you today! Click on the preview for your download link! A little birdie told me that there is a free promotion going on at Kodak right now! 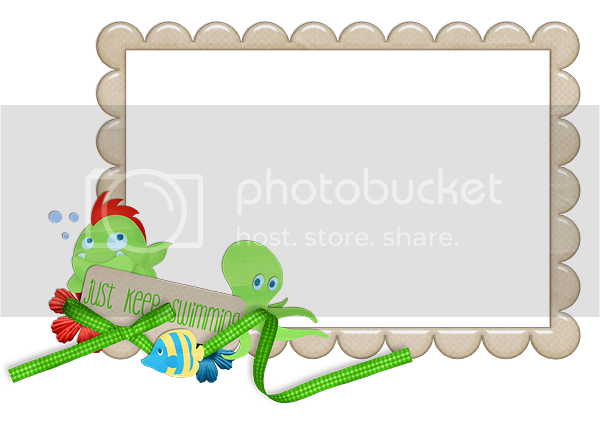 You can get a free 5×7 photobook (a $9.99 value) now through July 20th. 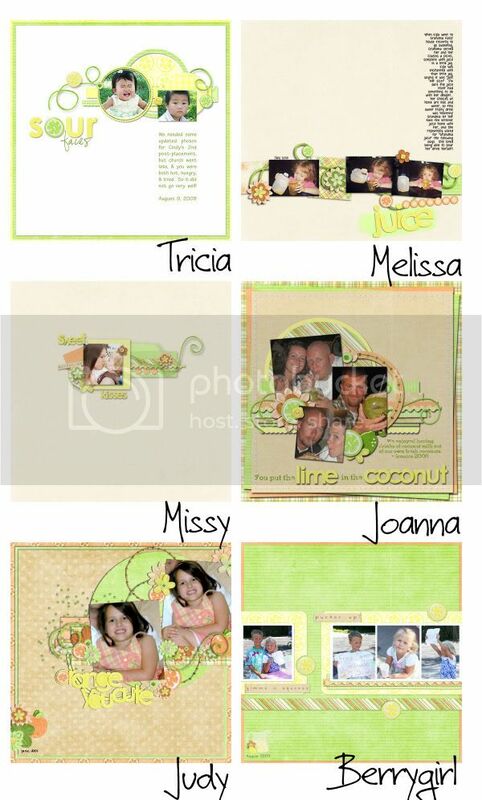 Since the inside can be full-bleed, you can print a scrapbooking album, brag-book style!